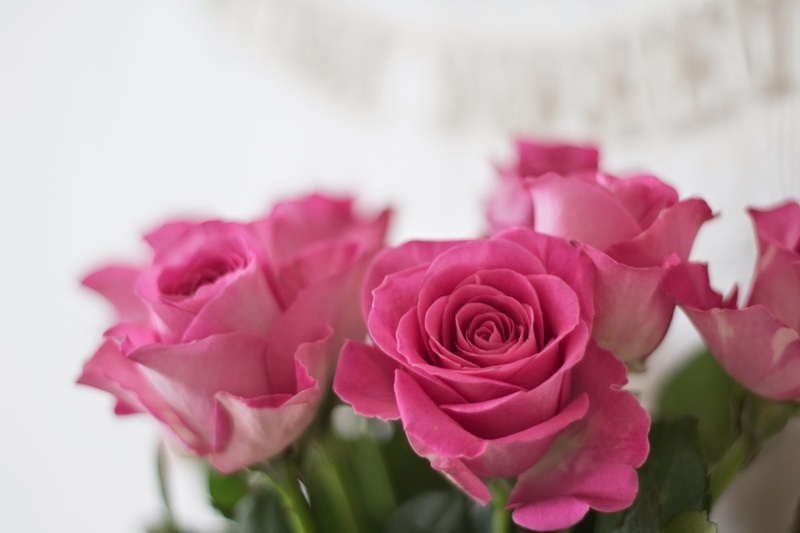 The Tea Drinking English Rose: Be my Valentine? February is finally here.. where does the time go?! 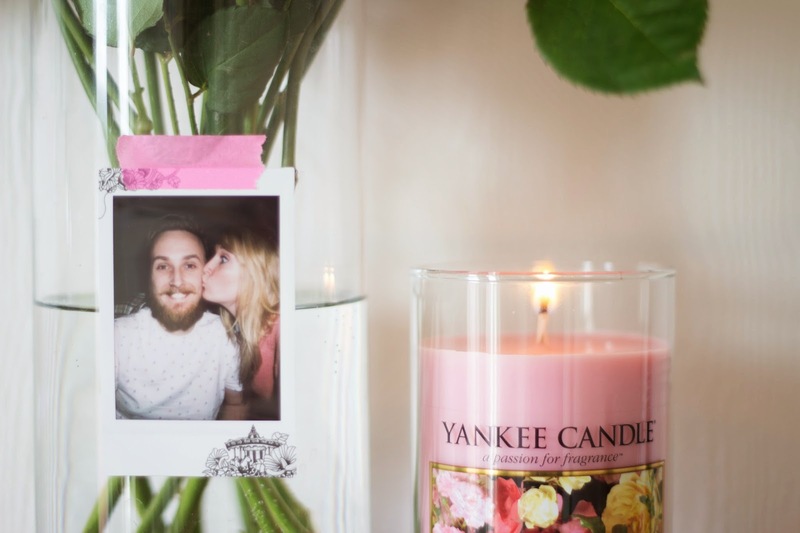 Valentines Day is creeping up on us, though it definitely doesn't feel nearly a year ago since we celebrated the last one! Last year Sebastian and I worked all day and celebrated with a takeaway and a film in the evening. This year Valentines Day falls on a Saturday which means we can have breakfast in bed after a long lie-in and venture out for V-Day coffee and share a piece of cake together. We are still contemplating whether or not to book a table at our favourite Pizza place in town or to snuggle up in the warmth and cook a delicious meal and watch a film by candle light. This year (my last Valentines as a 'Fiancé' before I become a 'wife') we decided no gifts. Which I hope he sticks to because... well, then I'd just feel bad. Anyway we feel the Wedding is way more important and after we can gift each other all we want with rose filled chocolates and pastel florals. We will however write each other cards... something I love to do (and I think he secretly does too!). I so love writing Sebastian a card, almost as much as I love shopping for them. 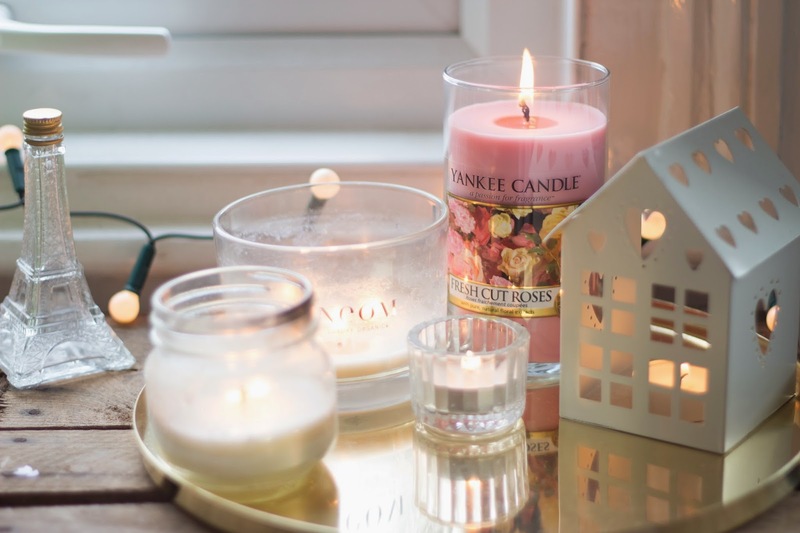 The more I think about our Valentines evening the more I lust over a snuggly night in with a delicious home cooked chilli con carne, a glass of wine and the mantelpiece, window sills and fireplace filled with twinkly tealights along with this gorgeous Yankee Candle. 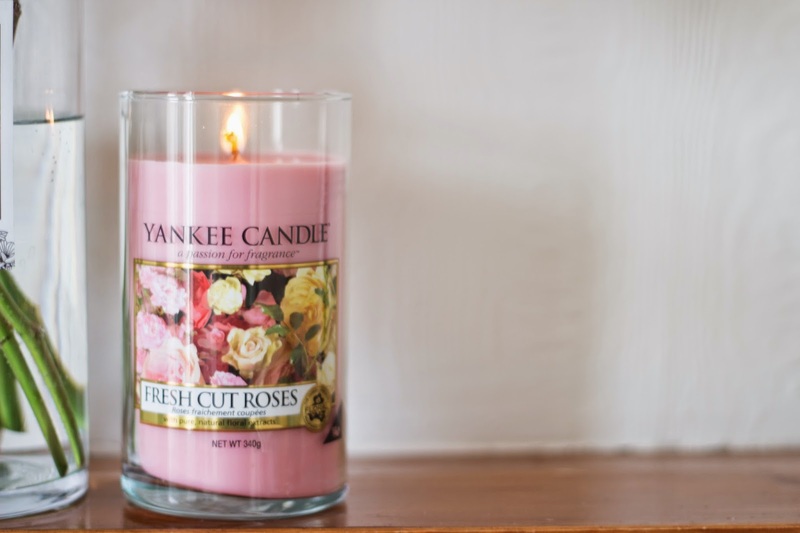 With this lovely Fresh Cut Roses* scented candle in the house I won't need any Valentines flowers anyway! Oh, this smell, It is so pretty. 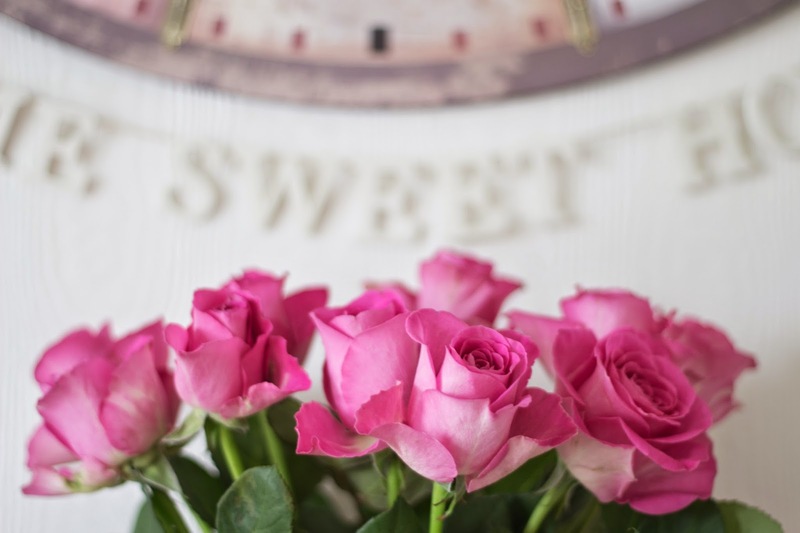 It reminds me very much of the sweet rose flavoured chocolates or rosewater turkish delight that I so love- That sweet rose scent is my absolute favourite. I'm in my own little candy heaven. Can we also just appreciate the beautiful dusky pink colour too? It looks lovely amongst my creamy coloured natural candles. What are you planning this Valentines Day? Do you have a cosy table for two booked? Will you be dressed in red sparkles with your girls- dancing the night away? Are you boycotting the whole thing wearing a black roll neck and watching a horror? (-this is so what we will end up doing! Chilli, candles, horror film and a blanket... with snuggles of course!). I think it'll be special whatever you do! Since we stay at home so much during the week, we're going to get all dressed up and head to our favourite Italian restaurant - and then go back for candles, blankets and snuggles! Lovely details! <3 I will celebrate with my hubby and one more couple. They will cook and will bring the wine. We bough very nice Italian wine.